The Finest Quality Homes ! This beautiful OPEN CONCEPT expansive living space. Great floor plan open dining/family/kitchen with archways and columns. Absolutely beautiful. First floor has gleaming hardwood floors, first floor bedroom, 3/4 bath. Upstairs has additional 4 bedrooms. First floor laundry. Enter thru the garage into the mudroom before you go upstairs. Central A/C, 9' Ceilings on first floor, Irrigation, and so much more. 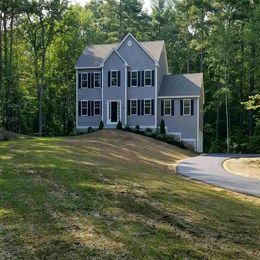 Groton Woods is winding down and this is one of the last lots available on the cul de sac on Schwinn Drive. 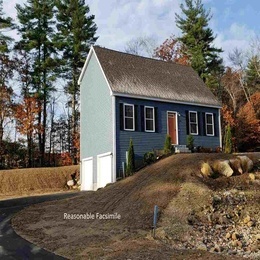 This great community offers a country setting that is near the Nashua Rail Trail (goes from Nashua to Ayer, MA) but yet great commuter location. Opportunity Knocks!! Pre-Construction price offered for a beautiful private lot in desirable location. 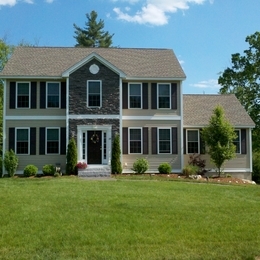 Picturesque Colonial with 2 Car Attached Garage built by reputable Diamond Edge Builders. 3 Large bedrooms and Master with an en suite bathroom. Cabinet and vanity layout is your choice. Adequate builder allowances to customize your home with out breaking the bank. Open floor plan which is great for entertaining. Large Family room with slider to rear deck over looking a beautiful backyard. 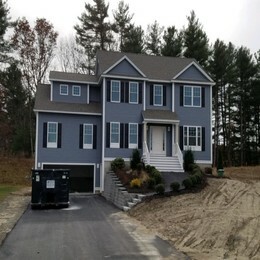 Ranch Plan also available at $379,900 with 2 Car Attached Garage. 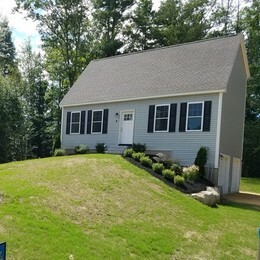 Get into your new home before the holidays and enjoy living in a Historic Town w Commons and amenities such as: Fall Fair, Dining, Hospital, 5 min to Rte 16, Golf Course, Lilac Mall, Athletic center, playground, Seacoast and Maine nearby. first floor laundry. Second floor has front to back master with a huge closet! Granite front steps. Don't wait, still time to customize your final selections! 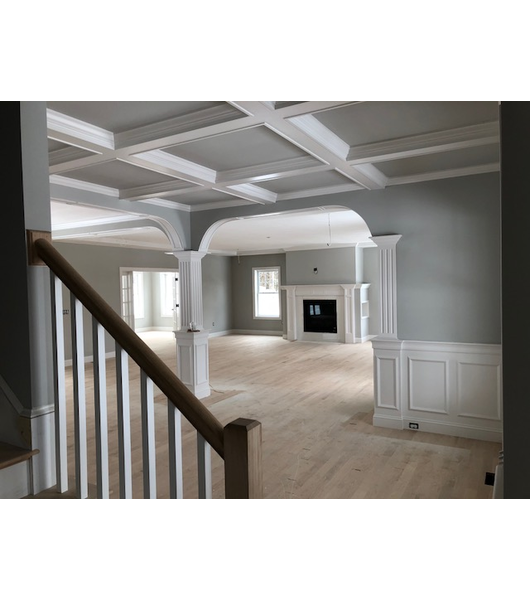 ceilings and gas fireplace. Hardwood floors throughout most of first floor.